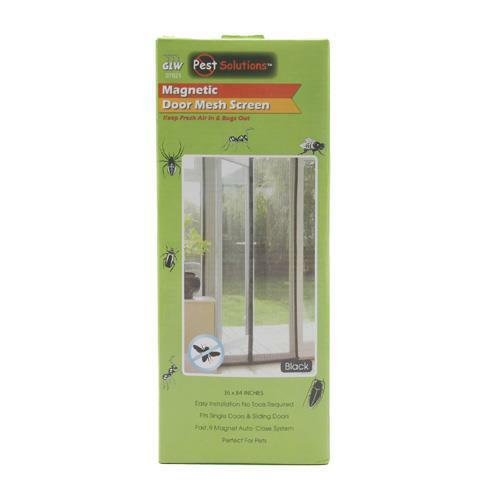 Keep fresh air in & bugs out! Magnetized, fast-closing door; 36" x 84". Easy installation - no tools required. Fits single doors and sliding doors. Perfect for pets. Comes assorted in white & black. 12/case. 11.42" x 15.35" x 13.39"